Avril Lavigne Wild Rose Perfume for women is a pure feminine fragrance for playful feminine personalities. Wild Rose is an effervescent perfume for all girls who are adventurous and keen to discover more. Wild Rose Perfume encourages all girls to live out of their dreams and make your life more thrilling and exciting and discover out of your expectations. 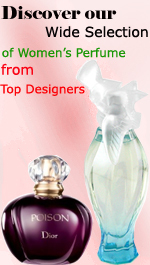 The Wild Rose Perfume bottle is designed in pink with white icy contrast.